Seize the Birthday Challenge's Topping Option this week was to use white on white for a birthday card. I chose to emboss a white panel with a Darice folder and then add butterflies punched from vellum on top of the raised ones. 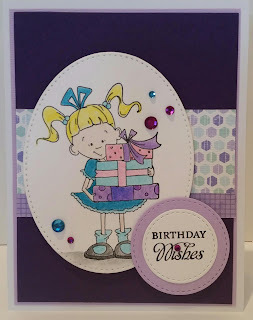 A simple sentiment was added to the upper corner in black to finish this elegant birthday greeting. Thanks for visiting. This is simply stunning Amy! 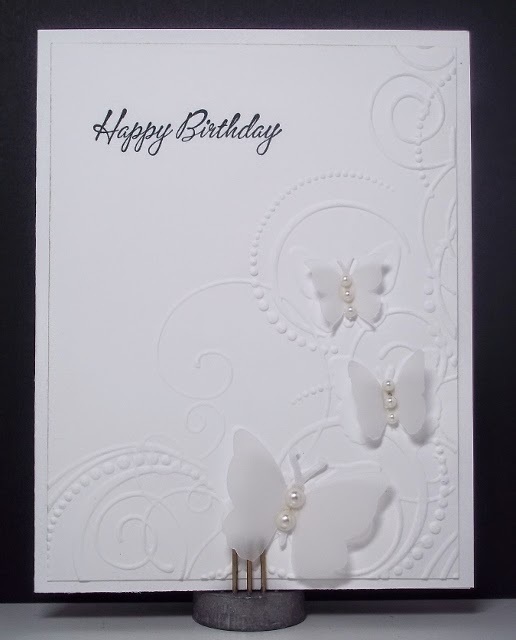 I love the soft look of the butterflies and the gorgeous embossing. Thanks for playing along with us at Seize The Birthday!